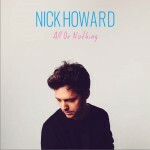 Nick Howard is an award winning British Singer Songwriter who achieved mainstream success with his critically acclaimed debut album 'Something To Talk About', songs from which have been featured in scores of TV shows and Films and received heavy rotation across radio networks in the US and in Europe. In the last two years, Nick has toured with supported artists such as Gavin DeGraw, Lifehouse, Jack Johnson, Boyce Avenue and Counting Crows. Nick's music has been featured on The Hills, Jersey Shore , Cougar Town, 90210, LA Ink, Greek, Army Wives and countless other TV shows and films. He has performed on live television in the US and UK, including appearances on NBC, Fox and the BBC. His single 'A Better Man' broke into the US radio charts which led him to be featured as an ‘Artist To Watch’ by US media giant, Clear Channel. He has performed to tens of thousands of people this year throughout the US and Europe. 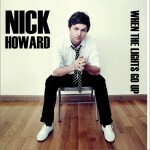 Nick's follow up album, 'When The Lights Go Up' includes several tracks produced by Marshal Altman (Natasha Bedingfield, Matt Nathanson) and by acclaimed Nashville producer Dave Bechtel. 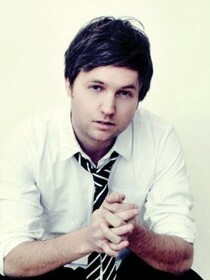 He is set to release the first single 'Falling For You' in February. In preparation of the new album release, Nick recently supported American band 'Lifehouse' playing to sold out shows to thousands of new fans in Europe. 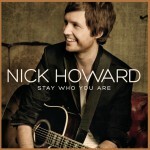 Nick's popularity across both continents has gained huge traction over the last 12 months and largely in part due to support slots for the likes of Lifehouse and Boyce avenue, is now gearing up for several headlining tours in 2011. 'When The Lights Go Up' will be released through Ferryhouse Productions/Warner Music this April. Nick has also partnered with several brands and vendors in the last two years on various products and events. Some of these include Renaissance Hotels, Tommy Hilfiger, Vogue, Apple, Chipotle, Scoop and Nokia, all have helped to increase Nick's visibility and popularity worldwide. Bose recently chose Nick's song 'I Don't Really Care' to compliment their advertising efforts.